I recently played a solo game with ranDM solo, a web-based solo tool. The author, Mike Overbo, released a new version. Here is a link to the tool. It now even has my Tiny Universal engine and the excellent so1um by Matt Jackson. Chris Stieha has a do-it-yourself-map here. Don't forget to check out his RND zine (PWYW). Maps, Textures and Color. These two booklets exist to inspire you and to be repurposed by you. Print them and draw on them. They contain eight different maps and related utility tables. Looking at OSR games, or anything close to D&D, but you can do whatever you want with them. Swords & Wizardry Light in a clean, minimalist layout? Matt Jackson got you covered. Infravision is a fantasy heartbreaker of The Black Hack. Some of the changes sound interesting (e.g. simplified classes: Warrior/Jack/Mage). Dungeons is a minimalist game based on Dungeon World. Written with teens in mind. Sword Breaker Issue No. 3 - A Walk Around Town (aff) is a PWYW fanzine for Dungeon World. Issue three is a bizarre dungeon crawl through a rampaging mobile town. Can you stop it before it smashes another village? 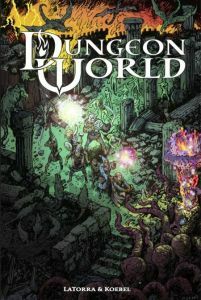 Consolidated One-page Versions of the Dungeon World Core Class Playbooks by Michael Siebold can be found here. I don't have the time to update my blog as frequently as before. But I will keep up the weekly Friday post. Reviews and other articles won't be weekly anymore. There is just too much other stuff going on with balancing work, family, and learning to code. Stay Frosty is an OSR game of future marines versus whatever the universe can throw at them. Use these rules to play games in the style of your favorite military sci-fi movies and video games. PC's will have to balance escalating tension and dwindling resources against staying Frosty to complete their missions.